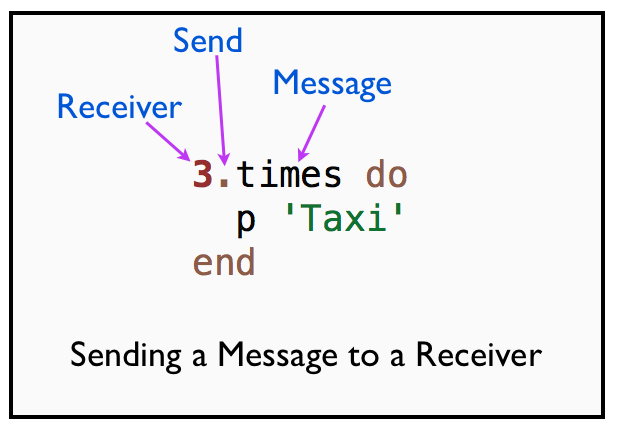 In this chapter, you will learn about the receiver object and sending messages to a receiver. 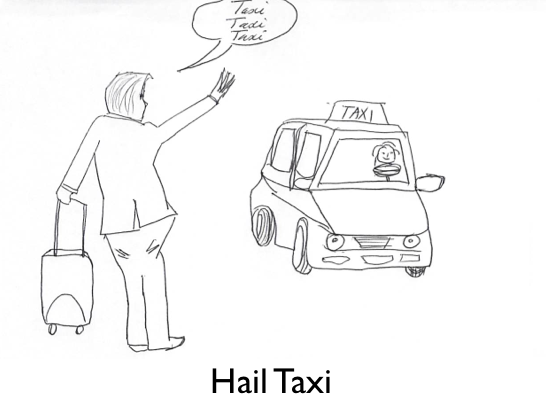 Let&apos;s write a simple program to hail a taxi. Let&apos;s identify the receiver and the message in this simple program. The number 3 is the receiver. The times() method is the message. The dot represents sending the message to the receiver. The dot notation is used when sending a message is explicit. The receiver is an object. Let&apos;s find out the class of the receiver object for our simple program. 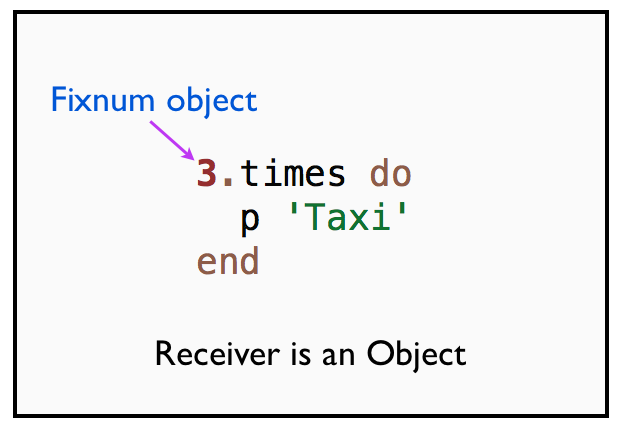 This demonstrates that Fixnum object 3 is the receiver object. It receives the times() message. Why is it called the receiver? Because this object would have received the message that caused the method to execute. Why do we need a receiver? In a OO language like Ruby, everything happens by sending messages to an object. This object is the receiver. In the next chapter, we will discuss more about message passing. Identify the receiver for the car program we wrote in the previous chapter. In the next chapter we will answer questions such as, what is a sender? Who is sending this message?